Thanks to Simon Teen have 2 awesome prize pack to giveaway! Each winner will receive a Dust Lands prize pack including a custom water bottle and copy of Rebel Heart, second book in the Dust Land series! 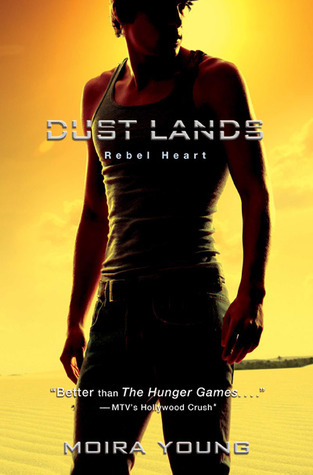 Don't forget to enter the Rebel Heart giveaway hosted by SimonTEEN for your chance to win the first two books in the DUST LANDS trilogy by Moira Young. The giveaway ends today. Enter here! All you have to do is fill the rafflecopter form below! I have read Blood Red Road and really enjoyed it. Saba is such a great character. I can't wait to see what happens next! I have read blood red road and I absolutely adored it! I can't wait to read more about Jack!! I haven't read the first book as of yet, but it has been on my wishlist for quite some time! I cannot wait to read both of these! I have read Blood Red Road. I cannot wait for the sequel. I loved the dialect used. So unique. No, I haven't read it but I've seen quite a bit about it on the blogs this past week. I have not read Blodd Red Road, but I do have it in my TBR pile. Thank you for a chance to win Rebel Heart. I read BRR and despite having to be immersed in the dialect, got into it right away. I'm so looking forward to REBEL HEART. Thanks for the giveaway! I have not read it yet but I really should. I'm glad there's a new book out, that will help to remind me. I have not but I hope to really soon! Thanks for the chance to win! Haven't but I know lots of reviewers loved it! I've started it! I got the pretty paperback edition. I got an ARC of Rebel Heart, which is why I felt the need to get Blood Red Road started. Thanks for the giveaway! I haven't read Blood Red Road, but its on my list to be read by the end of this year! I'm excited for it! At first I thought I wouldn't enjoy Blood Red Road, but then when I got the hang of it, it was fantastic! I haven't read the first book yet but I want to. I haven't read Blood Red Road but it sounds amazing! I have read Blood Red road and thought it was truly awesome. It took me a few pages to get into the groove of Saba's voice and Moira's writing style, but when I did, I couldn't put the book down. I read book one and waiting to dive into the next. I haven't read Blood Red Road yet, but I'm looking forward to reading it. I haven't read it but I love the idea of a desolate, barren dystopia rather than the crowded cities I usually read about. I haven't read Blood Red Road, but I've had eye on it! Blood Red Road was one of my favorite reads last year! No i havent read it but they look amazing and I would Love to read it! Thanks for the giveaway! 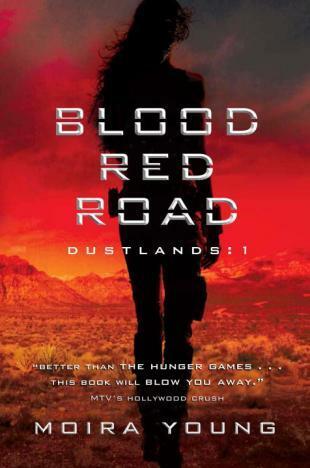 I read Blood Red Road last year and thought it was one of the best of the recent dystopias. No and I even bought it a year ago. With book 2 out I need to get on to it! Nope, I haven't read it, yet. I have read Blood Red Road and really loved it. I am so looking forward to Rebel Heart. Thanks for the giveaway! I have not yet, I'm waiting for my turn through the library. Thanks so much for the giveaway. I have read it...it takes some getting used to her writing style...but once you do, its captivating!!! I read it and love it! One of my favorite dystopian series! Thanks for the chance to win! I have not read Blood Red Road. Thanks for having this giveaway.